There is only one month on record in which a greater number of new high-rise homes were sold across the GTA than this May. 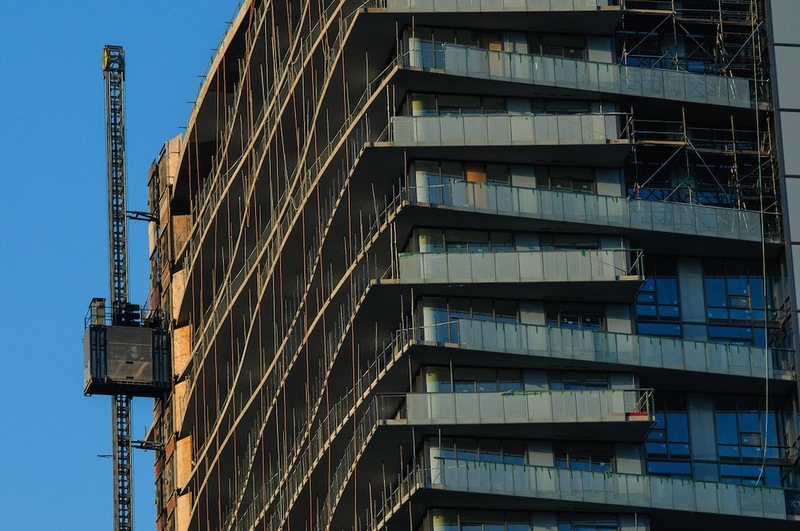 High-rise home sales totalled 3,623 units last month, the second-highest monthly tally after November 2011’s and up a blistering 76 per cent from a year earlier, according to the latest data from Altus Group, a real estate data company. In November 2011, new high-rise sales soared to 3,733, says a spokesperson for the Building Industry and Land Development Association (BILD), which is partnered with Altus Group to release the figures. Two recently launched condo developments — Vaughan’s Cosmos Condominiums by Liberty Development Corporation and Central Park Ajax by LeMine Investment Group — lifted high-rise sales last month, according to Altus Group. But while high-rise sales reached near-record heights, sales of low-rise homes — including detached and semi-detached homes as well as townhouses — slumped 15 per cent year-over-year to 2,091 homes in May. And the supply of these homes last month drooped to 1,985, a record low, notes BILD, while unsold high-rise inventory stood at 17,224. Builders’ low-rise inventory for the GTA hasn’t sunken beneath the 2,000-home mark before, the industry association says. Bryan Tuckey, BILD’s president and CEO, demonstrates how the development trend is swaying away from the low-rise segment. ”Nine out of 10 of the new homes available for sale in the GTA are high-rise and mid-rise condominiums,” counts Tuckey in a statement. “The industry is following the province’s growth plan intensification policies which emphasize high-rise development in the GTA,” he explains. Ontario’s Places to Grow initiative steers development and encourages higher density developments in some areas. Last month, the average index price (this is based on asking prices and excludes extremes) for new low-rise homes was $875,154, up 12 per cent from the same time a year ago. Meantime, for high-rise homes the index price climbed a more-muted 3 per cent year-over-year to $454,304. The price per square foot also rose 3 per cent compared to May 2015, reaching $573 last month. BILD has noted in the past how GTA condo units have been getting smaller, reining in unit-price growth. In January this year, the average high-rise suite was 773 square feet, a decline of 23 square feet from the first month of 2015, according to BILD. “Healthy levels of condo supply, combined with creative suite designs that maximize each square foot of space, have helped keep ownership within reach for the many buyers who have been priced out of the low-rise market,” says Tuckey in the statement.